I love seeing my couples in print so what fun to have Steph and Sean’s Canmore wedding featured in Avenue Weddings. 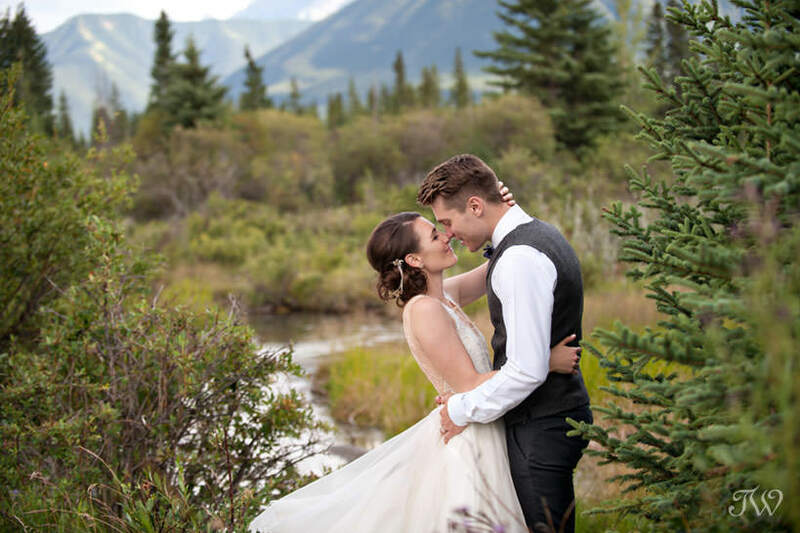 If you’re a sucker for a good love story, read about their whirlwind romance and rustic mountain celebration. “He [Sean] invited me to go on a hike with some friends out in Canmore. No one else showed up. We call it the “acci-date” because while we enjoyed each other’s company, neither of us were looking to start a relationship but both of us “knew” by the end of the hike that we were made for each other and would get married one day,” says Steph. Pop over to Avenue Weddings for the full article by Meredith Bailey. Last fall I shared a blog post about Steph and Sean’s Cornerstone Theatre wedding, if you’d like to see.